A lot of you guys are gamers and you’ve been asking me for tips specifically designed for your gaming channels. And so I reached out to a gamer that I know. His name is Alex, from “The Northern Alex” CA YouTube channel. He has over 20,000 YouTube subscribers on his gaming channel and he’s growing at thousands of new subscribers every month. And he’s going to share with you some of the top mistakes he sees new video gamers making on YouTube. The number one question that I get asked is, OK, what is the most important thing that you can tell me? And one of the most important things, I think, for a gaming channel is, in the beginning especially, try to create the best content you can come up with within your means. So what I mean by that is you want to make sure that you create as high quality as possible but without going out and spending $5,000 on a new gaming system. At the very least make sure that your system can record 720p, because that is HD. You definitely want to stay within HD these days. Another thing is if you want to spend money, spend money on a microphone. And you want to be sure that you have good audio quality. I think that’s one of the most important things. Another thing that I learned is– or that I see a lot now that I’m growing– people tend to spam the channel. And all that does– really guys, don’t do that. Because all it does is it creates a lot of hate. The established channels, they have their fans. So if you go in there spamming, then all you catch is a lot of hate. So don’t do that. What you can do is be present in the forms of the games that you like. Kind of establish your brand within the forums first, and then from there on up be the nice guy. Be the guy that is knowledgeable and help people. Treat others the way you want to be treated. I know it sounds like a pretty basic idea, but you have no idea how important it is. And another thing that’s very, very important is be the guy that answers as many comments as possible. I make a habit out of it that every morning when I turn my computer on, or every evening, depending on when my work day starts, I spent about an hour just answering questions. And even if the questions are repetitive try to be friendly about it or just ignore it. Now I know that sounds like a pretty basic idea, but don’t play a game that you don’t like, because people will pick up on that. Unless you want to be the guy that wants to rant and rave about it, then by all means do that. But if you just want to have gameplay then play a game that you like, because it’s so much easier for you to play and to commentate on a game that you like. And this is direct to the next point. Now for a gaming channel it is really, really important that you build a community. You want to have fans that come back. You want to have the guy that just comes through to really feel welcome and to want to stay. And this is basically with your content. And this is also how you address your audience. 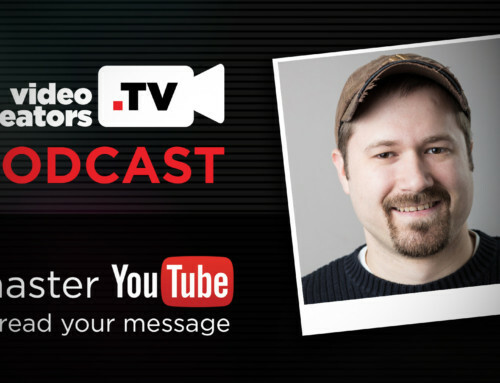 You want to make sure that you really establish your channel, that there’s something about you. For me, it’s the northern pack. And my guys, this is kind of the theme that we run with. And really, you’ve got to have that, too. It’s a core audience. And you really, really, really– you need that because you build up on that. Those guys are the ones that spreading the word and that make sure that your message gets spread and your brand gets spread. That is very important. Another important thing is channel art, even if it’s not the greatest channel art. Just don’t go with the normal YouTube standard thing, because that shows I don’t care about my channel. Your YouTube channel is a shop. Your videos is the wears that you lay out in the window, and you want to make sure that those look as good as possible. So you really, really want to work on that. I know myself and a lot of other YouTube gamers out there would love to hear from you in the comments below about what advice do you have for new YouTube gamers who are just getting started. What common mistakes you see them making and what advice and strategies do you have as you get started as a gaming channel on YouTube. If that is you and you want to improve your channel make sure you go down there and read the comments that other gamers are leaving for you. I know you will find a lot of really helpful, valuable information from them down there.